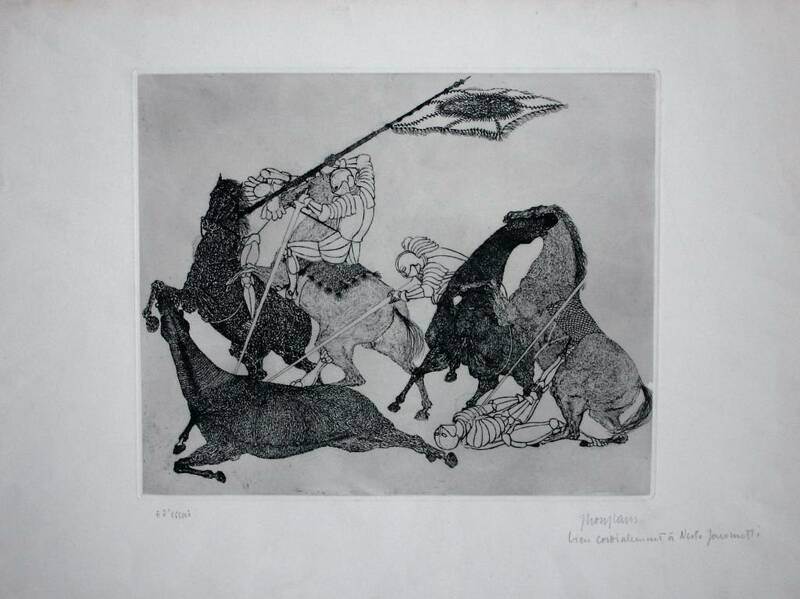 Jacques Houplain (*1920), French etching master, educated at the Parisian Academy Des Beaux Arts. 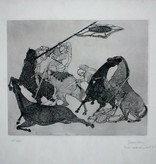 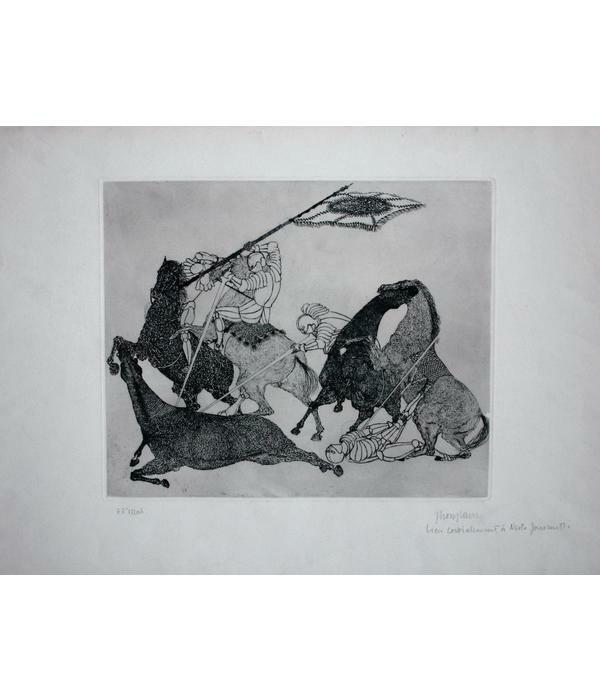 From 1945 he develloped a superior skill in etching. 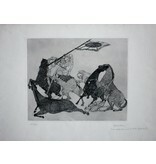 His etchings were exhibited (amongst others Musea) in: Poitiers, Genève, Algerije, Victoria and Albert in Londen, Museum D'Art Moderne Parijs, Strasbourg.